It’s been ten years since the “Bite of the Century” occurred in Guatemala during March 2006. So far, 2016 has rivaled ’06 if not in max daily numbers then certainly in the day in-day out consistency of great fishing. 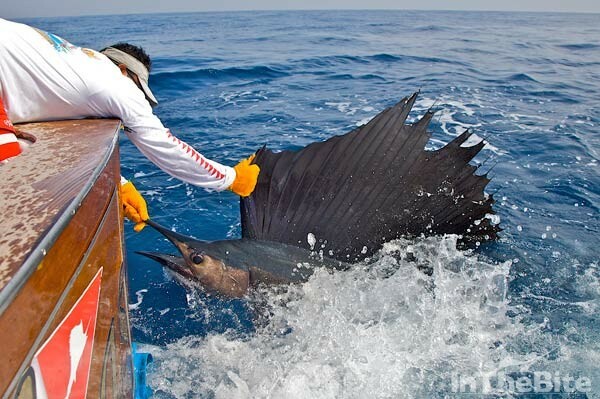 Though we have only fished six days this year, we have already released 135 pacific sailfish on regulation IGFA fly tackle. Our top days were 38, 31, and 27 releases with the 38 fish day being what we believe to be the second most sails every caught on fly in one day. The very best days among the boats fishing dead bait have been in the 60-80 releases per day range, though granted, the more realistic average during this great fishing and most impressive is that it has been happening since early January. As recently as this afternoon, March 15th, I heard Capt. Chris Sheeder’s Rum Line just reported 51 releases.